Firstly, I must show you the card I received from Annie of Ink'n'Rubba today with my runner up prize of the Whiff of Joy Charlotte with Sleigh - That will get inked very soon - and lots of stamped images that I am going to enjoy colouring. 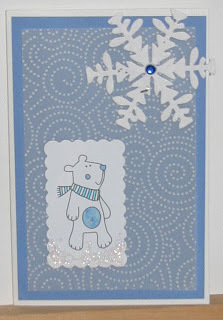 This card not only looks beautiful, the pearly paper feels lovely too and then there's all the stickle dots sticking up. I am a self-confessed paper stroker and this is a very tactile card: You either know what I mean or I am losing the plot (possibly both?)! Annie has a great blog so I recommend a hop in that direction. 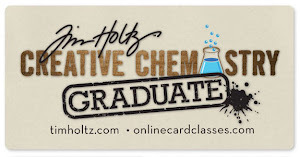 Secondly, Sheetload Shortcuts have a 'Frosty Giveaway' candy of 20 frosted card blanks and I can tell you from experience these are great quality! Another place to hop too! Finally, I am long overdue in following up a PIF I was lucky enough to receive: The first 3 people who leave a comment on this post will receive some stamped images from me: I shall contact those whose comments are received first for their snail mail address so please make there's a contact from your blog/profile or some way to get in touch. I'm not sure how quickly I will get them out to you but I will do it. In turn you have to Pass It Forward (PIF) by posting and doing the same for 3 other people: A nice fun way to share some stash. I know I am years behind everyone else with this but I finally got to try shrink plastic: What fun! 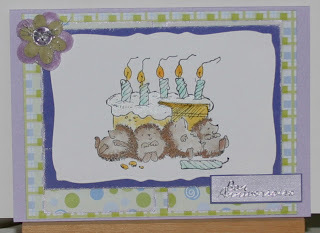 I used my Whiff of Joy Charlotte Angel stamp with black Stazon and then wasn't sure what to use for colour so used Whispers permanent markers except for the skin where I used a peach watercolour pencil (dry). 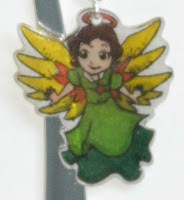 Used a heat tool for the magical part and then added it to this bookmark. Need to buy more: It's such fun! This was frosted so I want to get some clear too. 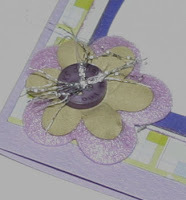 While I do enjoy taking part in challenges, I have had very little time lately until I saw the Daring Cardmakers' challenge last Friday - 10 min cards! 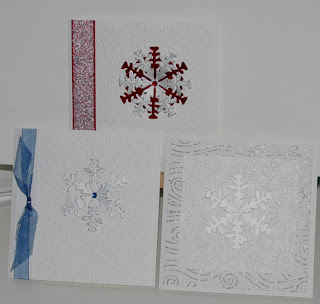 So here is a selection: Those with ribbon were very much influenced by Jozza's DT card, while the one without is one I'd made before seeing the challenge: Above: Using Cuttlebug Snowflakes embossing and Ice Crystal die. And a minimal colouring card using Pink Petticoat image with Snow Writer and holographic glitter glue, punched out and mounted on Papermania flocked vellum and blue card with Cuttlebug Ice Crystal. I get to join in with a challenge: hoorah ! Me: Oh Yes. What did she say? DH: She’d like a basket of Joyaux Noël, Bonne Année, Meilleurs Vœux, and Joyeux Anniversaire cards. Me : Oh, Christmas as well. (More unusual in France). Did you say when we’d take them? What fun! Whiff of Joy are having an advent calendar of activities and prizes. 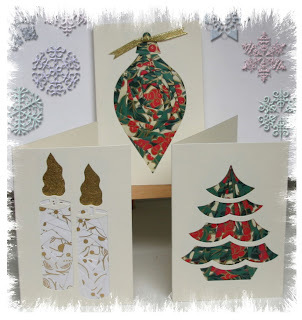 It's all happening on Katharina's Blog and first is 'Santa Charlie' stamp candy.